Introduction A brief overview of the course This 4 day course is intended for students who already have some experience with SQL and need to fast-track their querying skills to an advanced level. Effectively, this is the "Microsoft SQL Server 2016 Introduction to Querying" and "Microsoft SQL Server 2016 Advanced Querying" courses combined. This course may also prove beneficial to delegates wanting to refresh their existing querying skills. Students should ideally be familiar with basic programming concepts. They should also understand the fundamental design of relational databases including, but not restricted to, the purpose of primary and foreign keys, entity relationships, and data normalization. These prerequisites can be met by taking the 2 day "Microsoft SQL Server 2016 Relational Database Design and Querying Fundamentals" course. 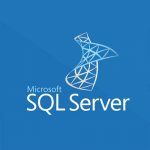 Moreover, students should ideally possess some experience of querying data with SQL in a Microsoft SQL Server environment. This is a fast paced course, and delegates will need the aptitude to quickly assimilate the material presented, and whether novice or experienced, should feel comfortable absorbing new ideas quickly.